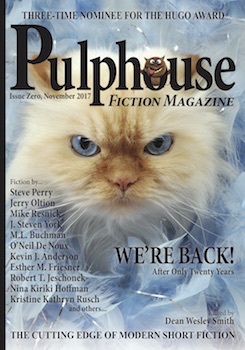 Pulphouse Fiction Magazine: Back after over twenty years. A three-time Hugo Award nominated magazine, Pulphouse returns with eighteen fantastic stories by some of the best writers working in modern short fiction. No genre limitations, no topic limitations, just great stories. Attitude, feel, and high quality fiction equals Pulphouse.